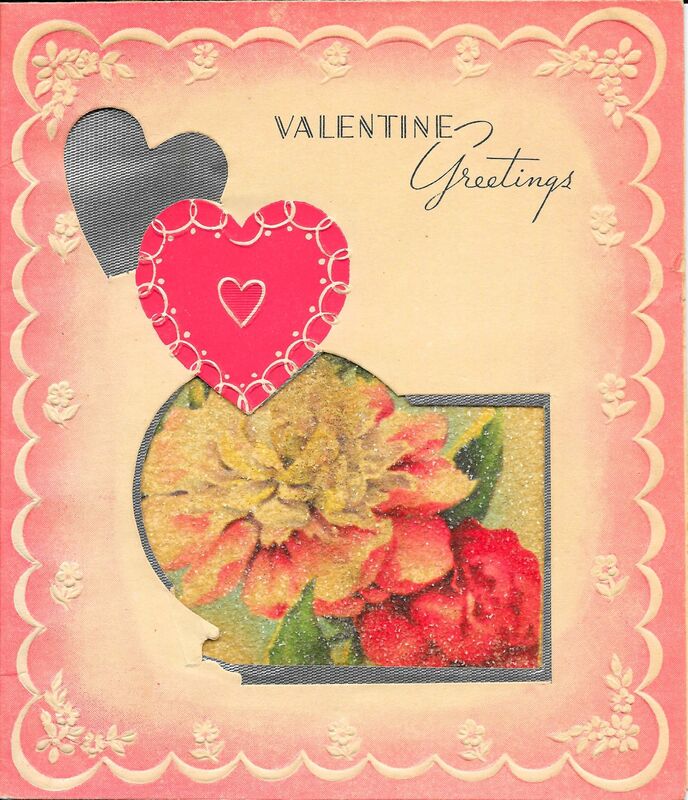 Be My Valentine– a popular sentiment on cards this time of year. 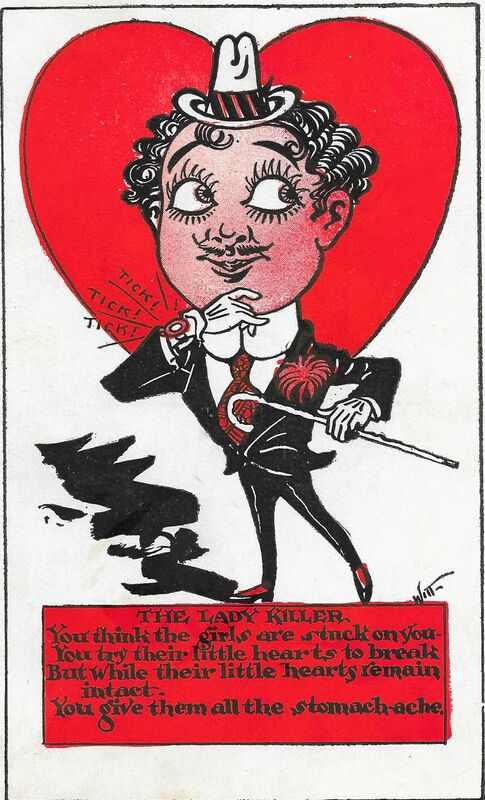 Tuesday is Valentine’s Day. A day to show your love by sending cards, flowers, candy [you can never go wrong with chocolate], and having a romantic dinner. 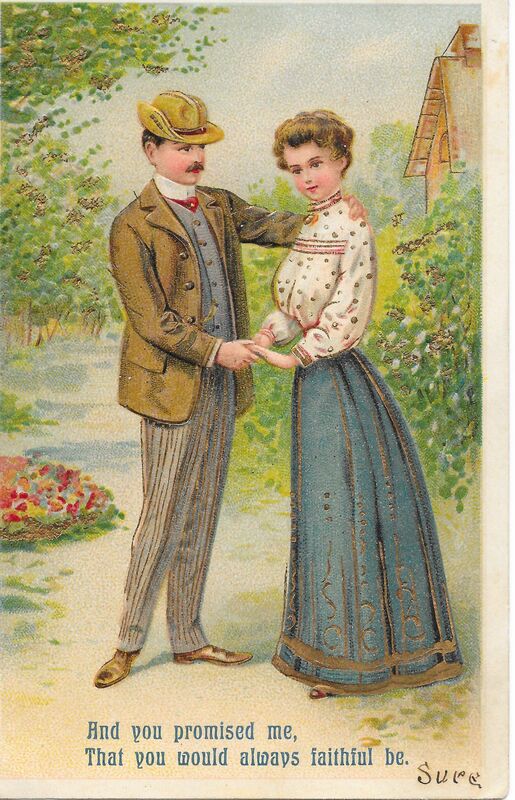 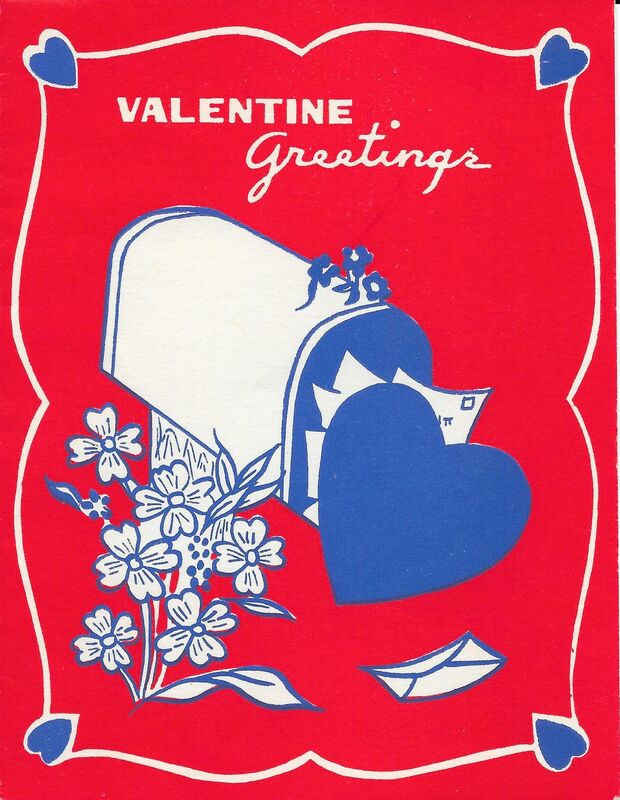 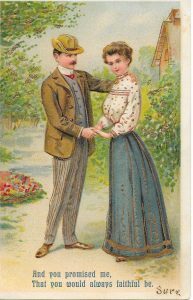 Our ancestors celebrated Valentine’s Day, too, and they had some beautiful cards years ago. Here are some old Valentine postcards and cards that were given to my grandfather Cornelius Schumm, my mother, and to Wilbert Germann. This could be a Valentine Card although it does not say so specifically. 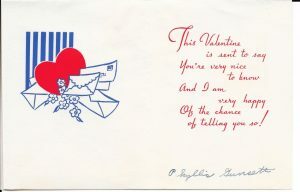 To my grandfather Cornelius Schumm from Mary Eicher. 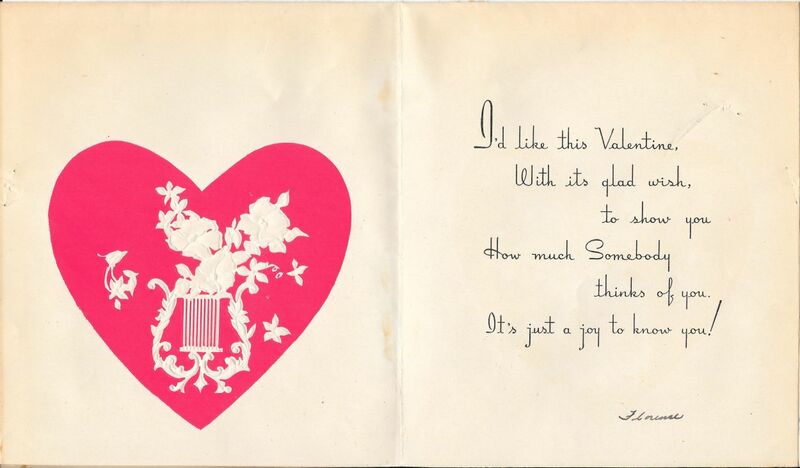 To my mom from Florence, her teacher. 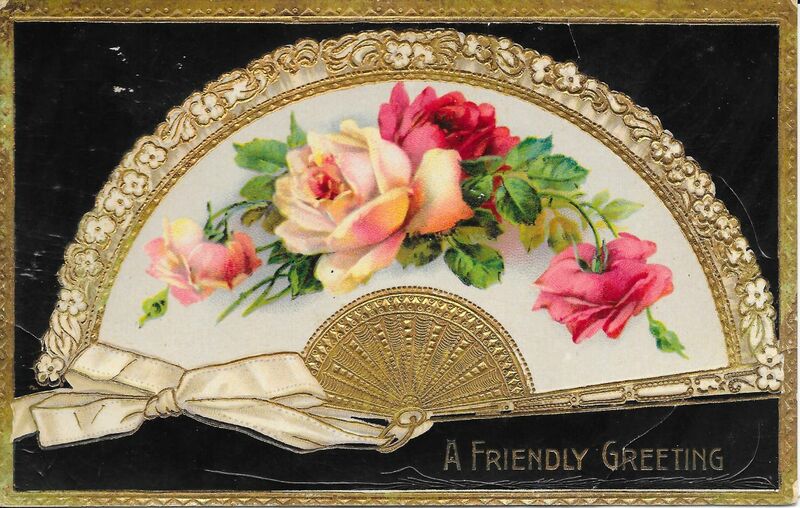 Inside of card from Florence. 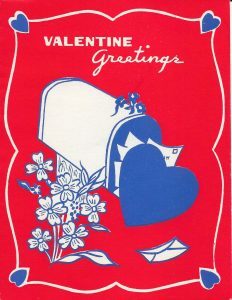 To my mom from Phyllis Gunsett. 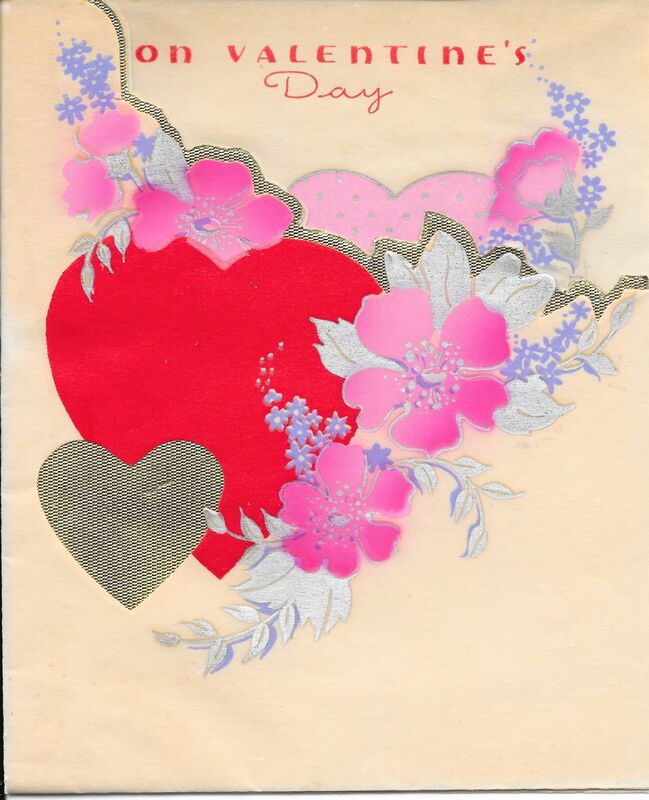 Inside of card from Phyllis Gunsett. To my mom from Lois. 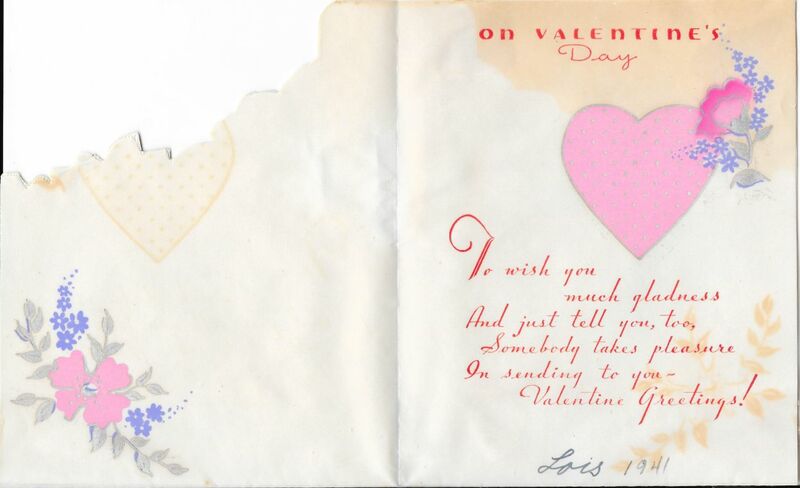 Inside of card from Lois, 1941. 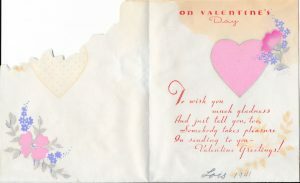 The last Valentine card is to my mom from Herbert, dated 1936. 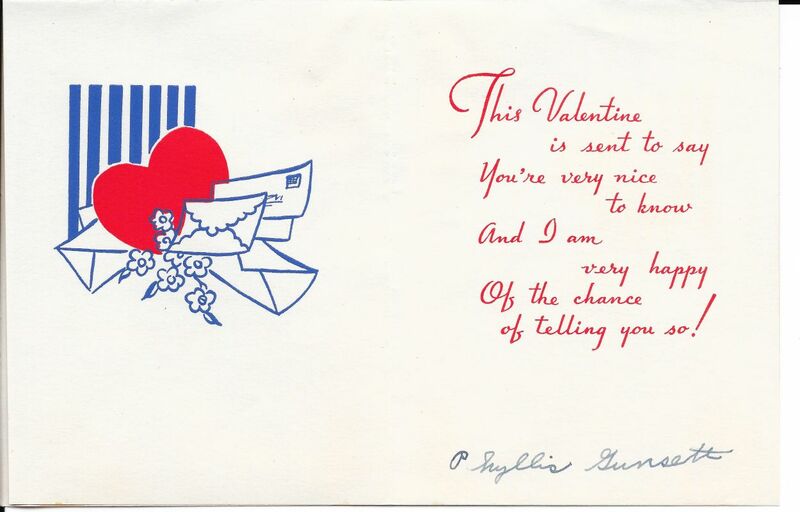 However, I do not believe it was from my dad because I do not think they met until after the war. 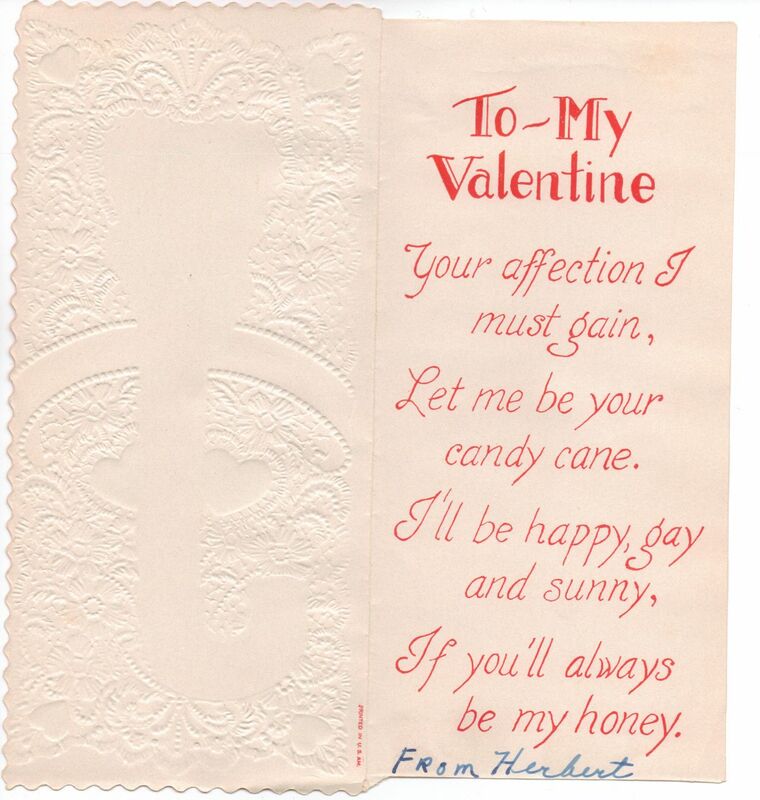 To my mom from Herbert, 1936. 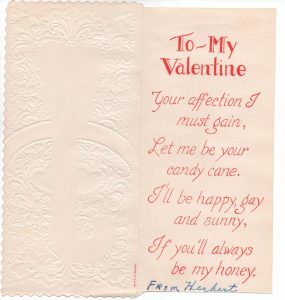 To my mom from Herbert.